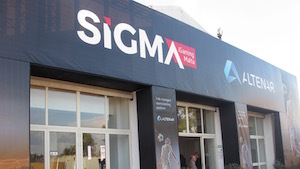 The fifth edition of SiGMA was held this year at the Malta Fairs and Conventions Centre in Ta’ Qali. SiGMA ran from November 28-30 and featured a wide range of conferences and workshops as well as some of the best-known faces in the industry on the expo floor. This year's SiGMA also featured the SiGMA TODAY newspapers. With thousands of copies handed out and fresh content each day, they proved a popular read among delegates and exhibitors. Companies exhibiting at SiGMA in 2019 that want be included in next year's issues of SiGMA TODAY should email sales@intergame.ltd.uk for more details. With more than 400 exhibitors, 200 speakers and a record-breaking 12,500 in attendance, SiGMA is deservedly the premier igaming showcase on the island.